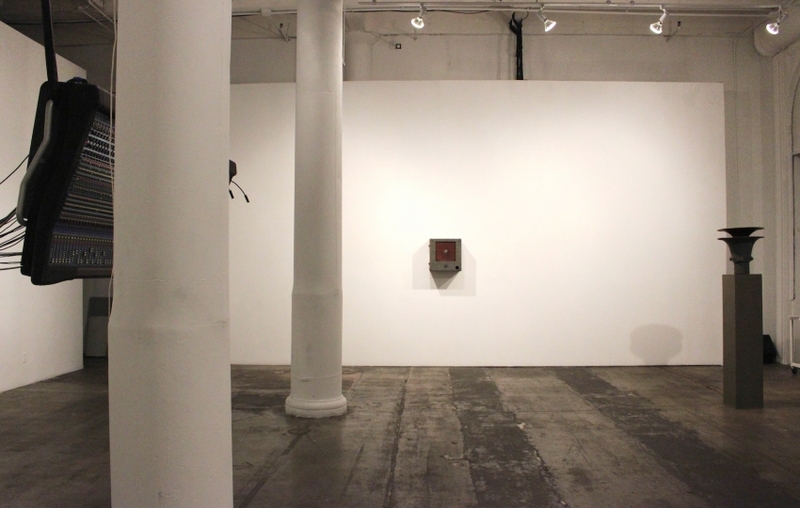 Fridman Gallery presented CHANNELS, Daniel Neumann’s second exhibition with the gallery. 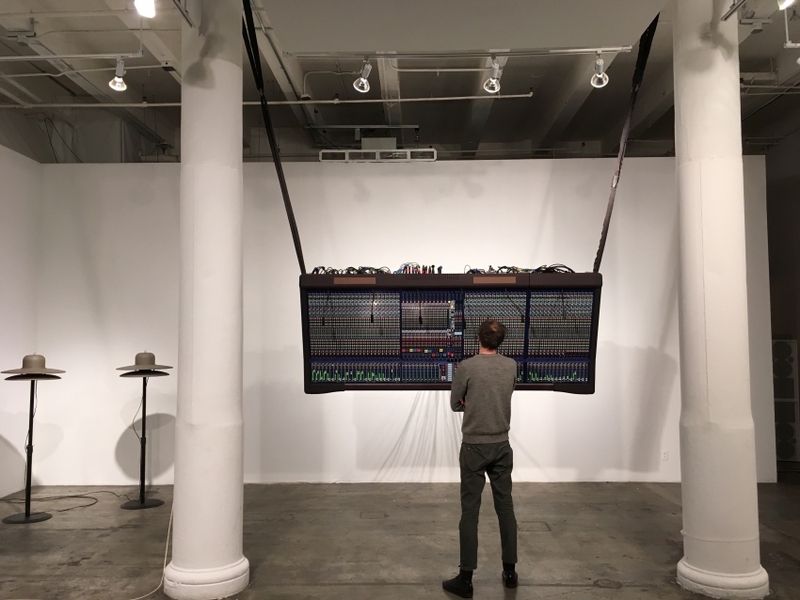 Neumann arranges two types of audio technology artifacts – a giant 56-channel mixing board suspended vertically in mid-air and several unique custom-built vintage speakers – into a durational installation performing itself. 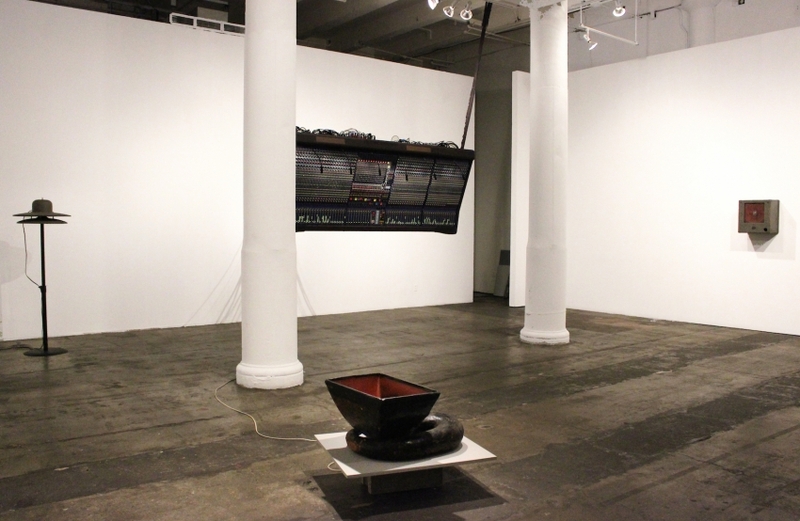 Shifting the gallery hours into the evening, Neumann frames the work somewhere between an exhibition, a screening and a concert. 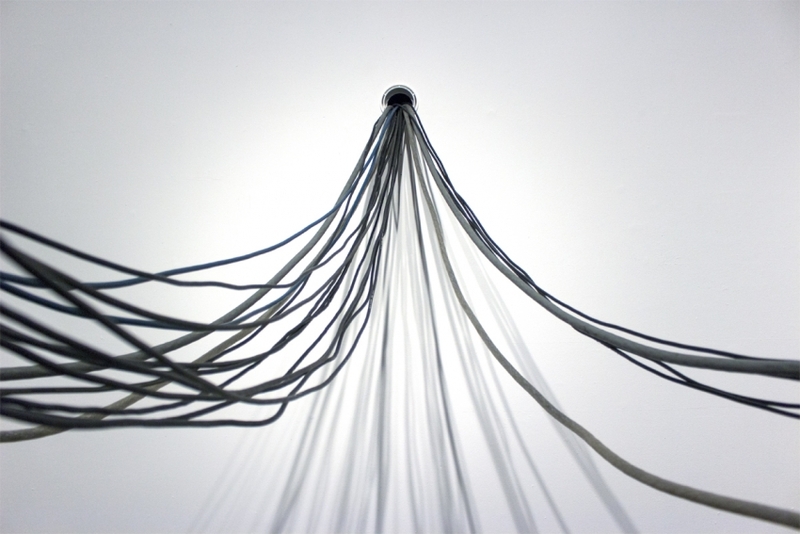 The sonic materials of the installation consist of 56 purely electronic sounds – lines – that underwent various types of processional feedback on site. 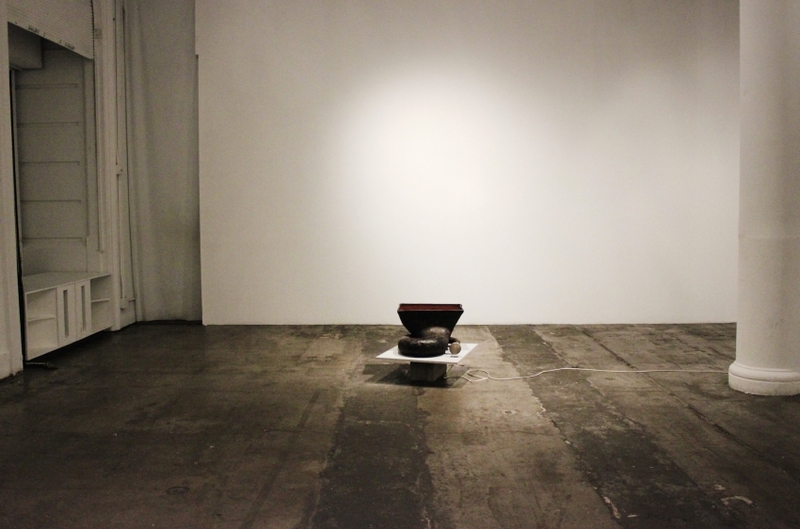 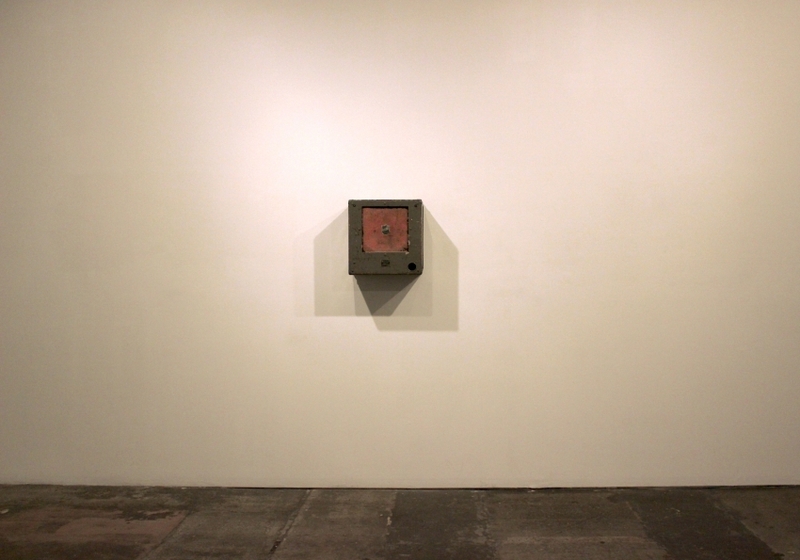 The abstract sounds are channeled into the physical space of the gallery to produce an immanent concrete sound field. 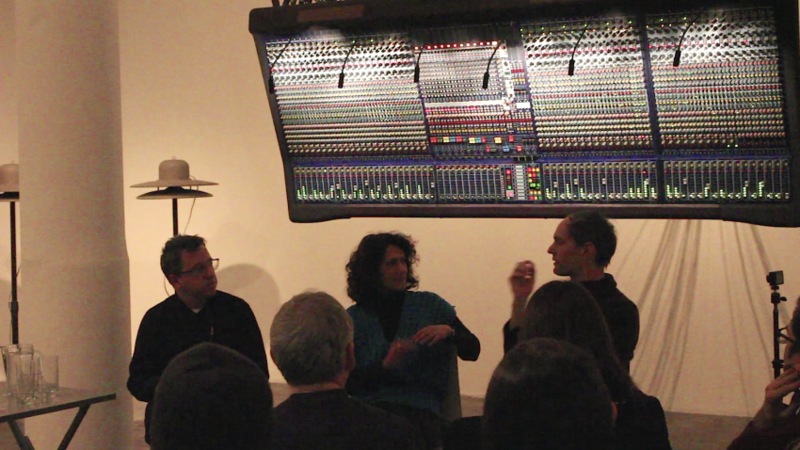 The mixing board and speaker are given visual prominence, yet it is the sound field itself that remains foregrounded. 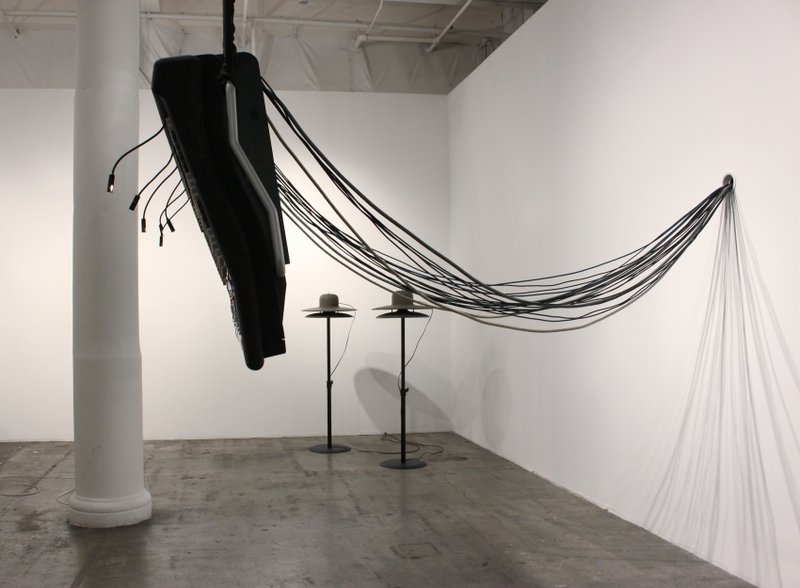 Underscoring sound’s independent identity, periods of activation alternate with idling. 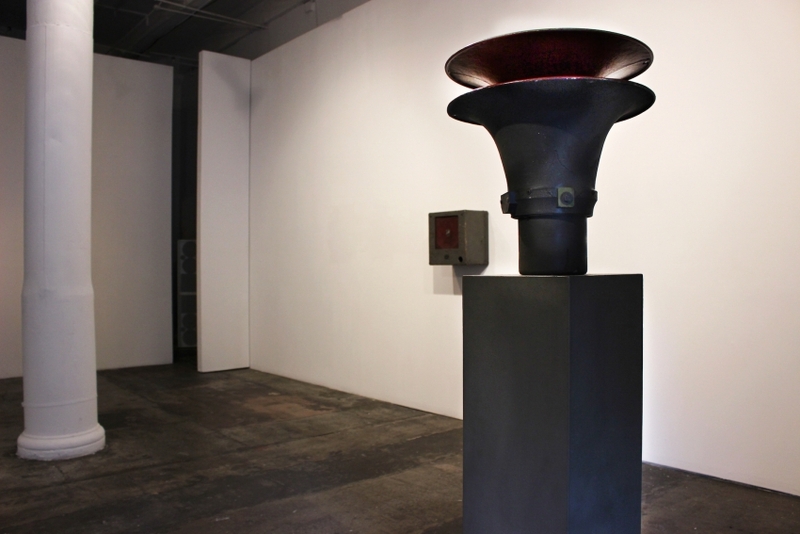 Thus, there are actually three types of sculptural objects in the show: the giant mixing board, the vintage speaker objects, and a 3D sound field. 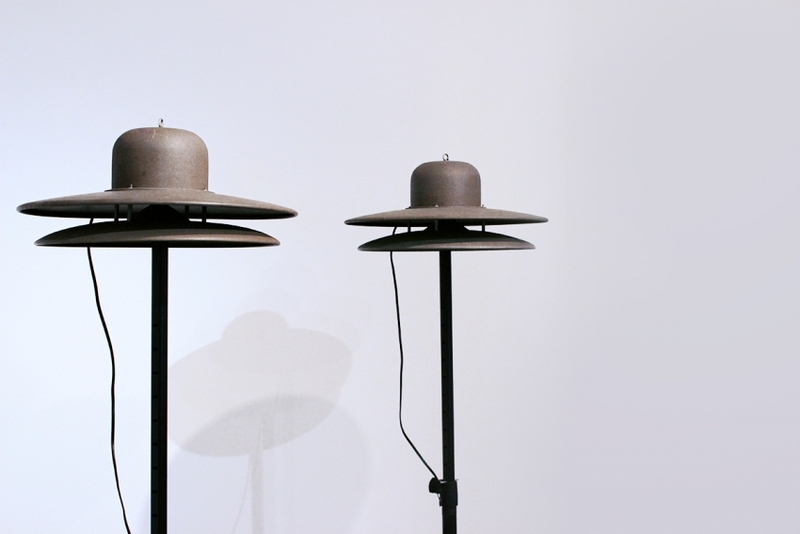 The singular speakers, with their subjective unique voices, stand in contrast to the ubiquitous environment of the sound field. 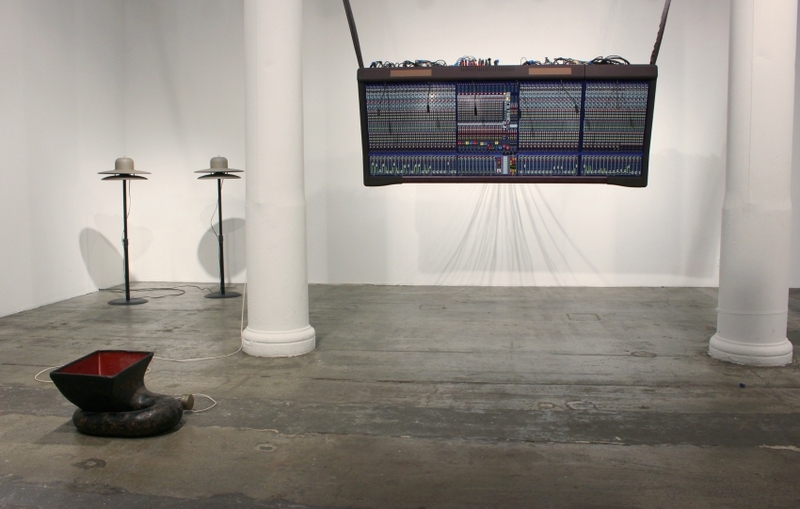 The suspended mixing board functions as a performative medium, responsible for the spatial distribution of the sounds. 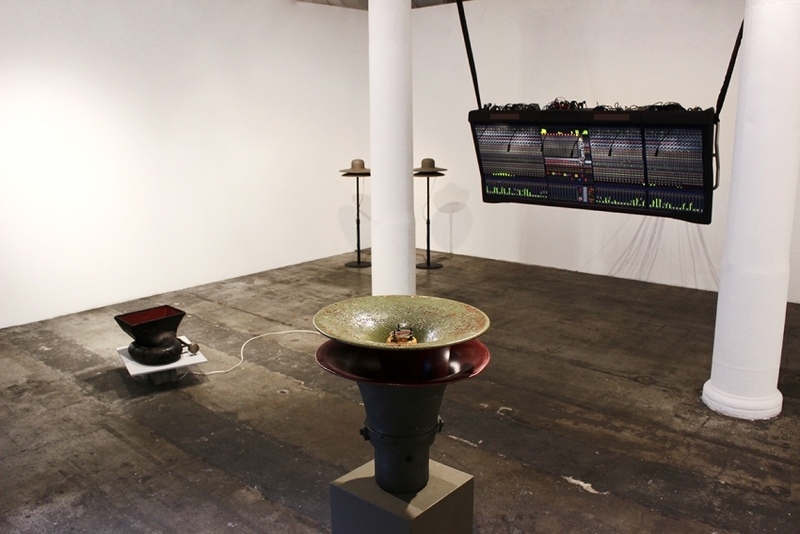 With special thanks to Jim Toth (Jupiter Sound) who provided technical support for the exhibition, and Vermona factories, an electro acoustic manufacturer in Germany, which provided Neumann with a residency leading to a new range of electronic sound generators for the exhibition. 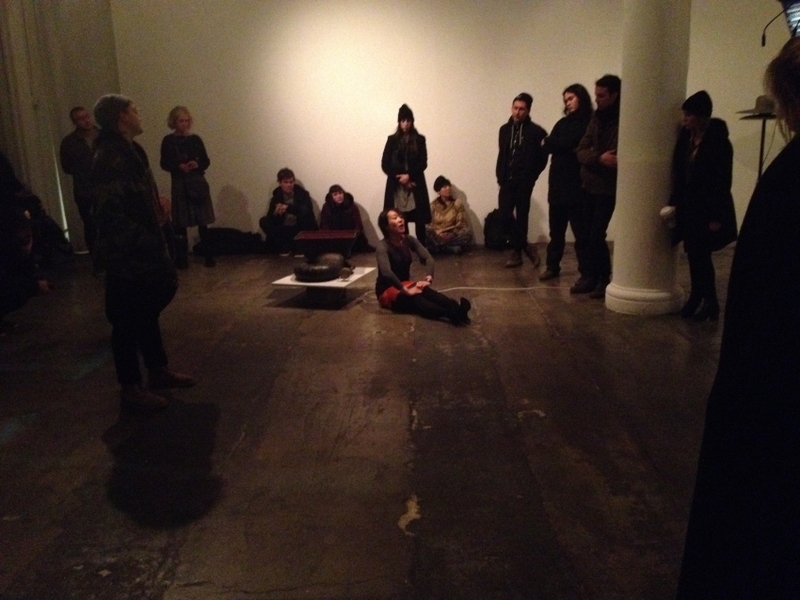 The exhibiton also featured an artist talk with Regine Basha and Seth Cluett and a closing performance with Ami Yamasaki.